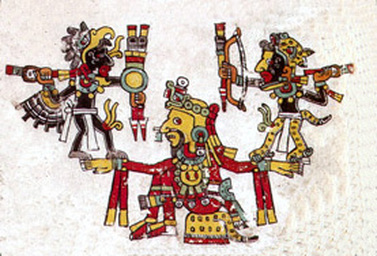 Yaotilliztli contains two primary paths, the path of the Eagle Warrior and the path of the Jaguar Warrior. Within these two paths there are many other styles such as the Stone, Deer, Monkey, Snake, Dog, etc. Often referred to as a Martial Art, Yaotilliztli is different in that it is a Warrior Discipline that is focused more on defeating our inner battles rather than battles with those outside of us. Focused on self discipline, bio-energetic and physical evolution, we are even expected to make an oath that we will not use it in self-defense but only in the defense of others. Through meditation and a focus on the philosophies of being centered, keeping your emotions and thoughts balanced, Yaotilliztli teaches will power, leadership of the self, service to the community, and brother/sisterhood (with our own body as well as with our community). Every Friday from 10:30 pm - 12:30am for Beginners. If you would like to support our growing organization and community by donating you can do so via Paypal here!